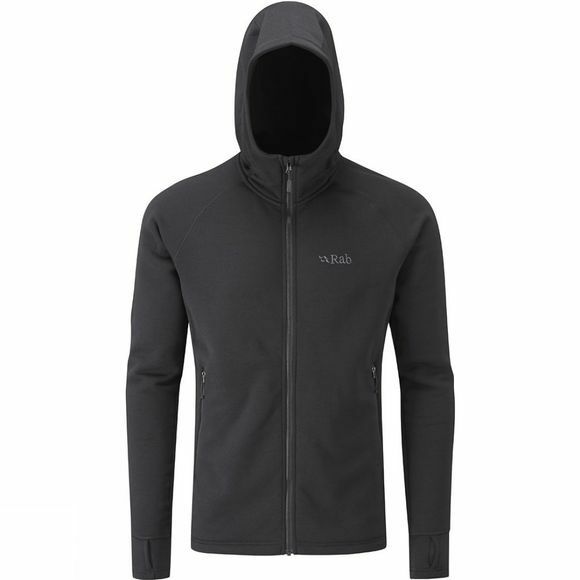 The Rab Men's Power Stretch Pro Jacket is a mid-weight fleece hoody designed as a mid-layer for active use in cool conditions. Polartec Power Stretch Pro retains warmth without restricting movement or agility during activities. The tough outer surface has a low-friction finish to make layering as easy as can be. The fabric stays dry, breathable and comfortable by continuously transferring moisture vapour away from your body for rapid evaporation.